Armchair Book Expo Headquarters: The #ArmchairBEA 2016 Instagram Challenge is Here! 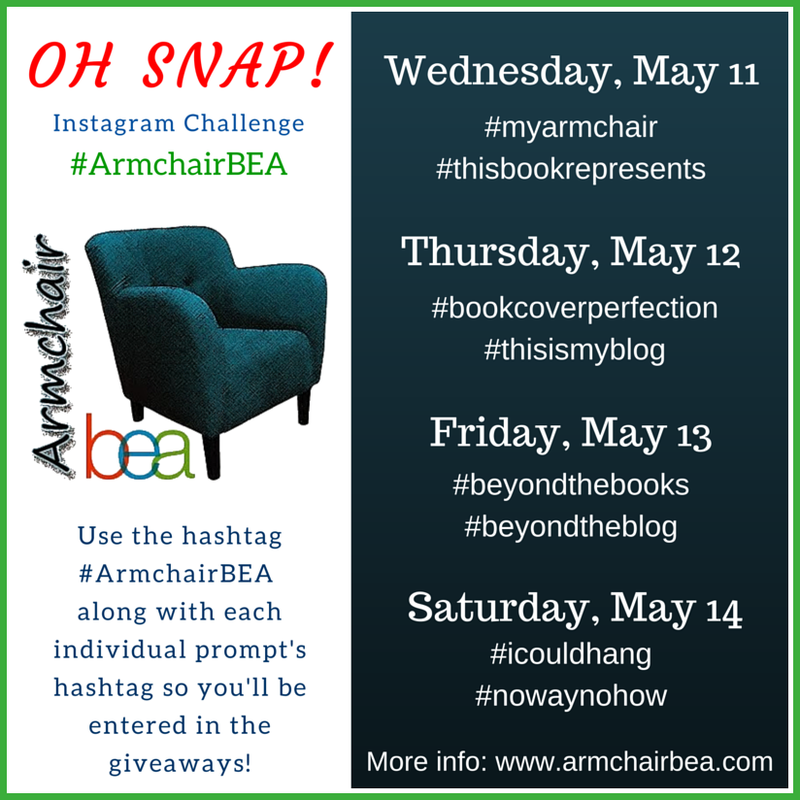 The #ArmchairBEA 2016 Instagram Challenge is Here! As many past participants of Armchair BEA know, we have a lot going on during the week of our event (which kicks off next week!). One of the simplest and most exciting pieces of the week is our Instagram challenge. We give you the prompts, and you use your creativity to meet those prompts. As in past years, we do offer special giveaway prizes to a select number of Instagram challenge participants throughout the week. So, grab those cameras and smartphones, add our hashtags (#armchairbea and our daily tag), and get book creative! You can also view the full agenda here, including our daily prompts for the Instagram challenge. Which of these prompts are you most excited to #bookstagram next week?